You think time passes too fast to do all you would like to do. Pamper yourself, breathe, direct your thoughts to the essentials. Then take one step after another, and you’ll see, you’ll accomplish more than you expected. The daily hectic is wearing you down? You cannot calm down anymore? Every muscle hurts? You long for deep relaxation? Then treat yourself to a “time out” from everyday life! I will be happy to assist you! For legal reasons, I point out that my treatments activate and strengthen the self-healing powers but do not replace a doctor, alternative practitioner, naturopath and psychotherapist. Reiki means freely translated life energy. Everything around us is energy. We need energy to live and survive. If our energy is exhausted by stress, trouble, anxiety or other tensions, we can re-energize our body through Reiki. 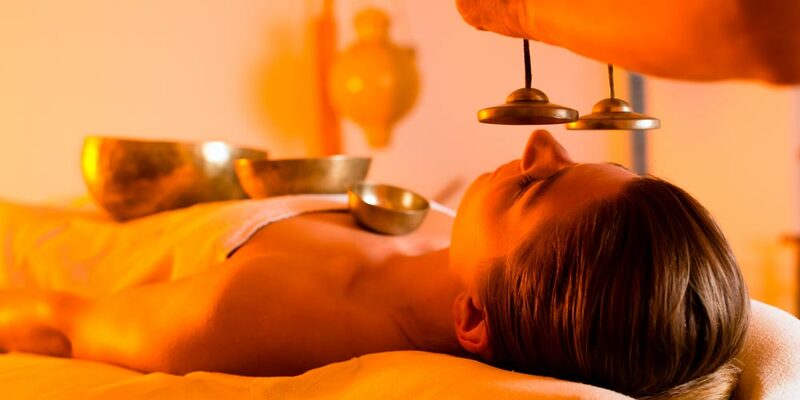 Reiki balances body and soul and works at all levels: the physical, mental, emotional, and spiritual levels. Reiki supports self healing, strengthens body and soul, clears tensions, cleanses of toxins, balances the power centers (chakras) and energies (meridians), and restores the harmony. You can regain your inner strength and tranquility through a guided meditation. Tensions and stresses from within can be relieved and you can recharge batteries. Our mind becomes clearer and more alert. Enjoy a relaxing time and forget the everyday life for a moment. This type of body work comes originally from Hawaii. It brings you into a deep relaxation and can free your body and your soul from ballast and worries. Long and intense stroking with hands, forearms and elbows, as well as targeted stretching, mobilization of the joints and lower limbs, will have a profound effect. During the entire treatment my full attention is directed to you and your body. So you can relax better and unwind. The Hawaiian music will let you submerge even deeper and your everyday life will be forgotten for some time. Lomi Lomi Oluea (Oluea means: taking off burdens from the back): another style of this wonderful treatment. During this treatment, I intuitively and individually adapt to your desires and needs and work with the techniques available to me (such as sound cups, cranio – balancing, reflex zones, etc.) to activate and strengthen your self-healing powers. Whole body treatment with warm and cold stones. Besides the deeply effective relaxation of the muscles, the changing temperature can stimulate the detoxing/purification of the tissue and the immune system can be activated. Working on the energy centers (chakras) of our body helps us to regain more harmony and balance in our life. Dropping a stone into the water creates concentric waves that spread over the entire surface of the water. Each molecule of the water is thus set in motion. The same happens with the sound-shell massage in our body. The soothing vibrations are transferred to the body and spread in concentric waves. Each molecule, each cell, is activated. Due to today’s way of life with stress, unilateral strain and unprocessed problems, our body is usually not free from blockades and tensions. For example pains in the joints or hardened muscles are often a very unpleasant result. Gentle vibrations also loosen old hardenings, so that the sound vibrations can ultimately flow unhindered through our bodies. A sound-shell massage can have a healing deep relaxing effect both by means of harmonic sound and gentle massage.